PROJECT: Name a new web and email-based “lifestyle curation” division and media platform. SWIRL: To move around or along with a whirling motion; whirl; eddy. To be dizzy or giddy, as the head. To cause to whirl; twist. BRAND POSITIONING: ArcaMax, a top publisher of news and entertainment via email newsletters, hired us to name their new “lifestyle curation” division, which launched with stories about the best restaurants, bars, and happenings in New York City, but will eventually expand to other global cities. The primary brand positioning concepts we focused on were Curation, emphasizing the user’s process of receiving the best lifestyle and culture recommendations; and Discovery, enabling all people, but especially Millennials, to quickly enrich their lives by discovering food, dining, and events, which enhance their life experiences. 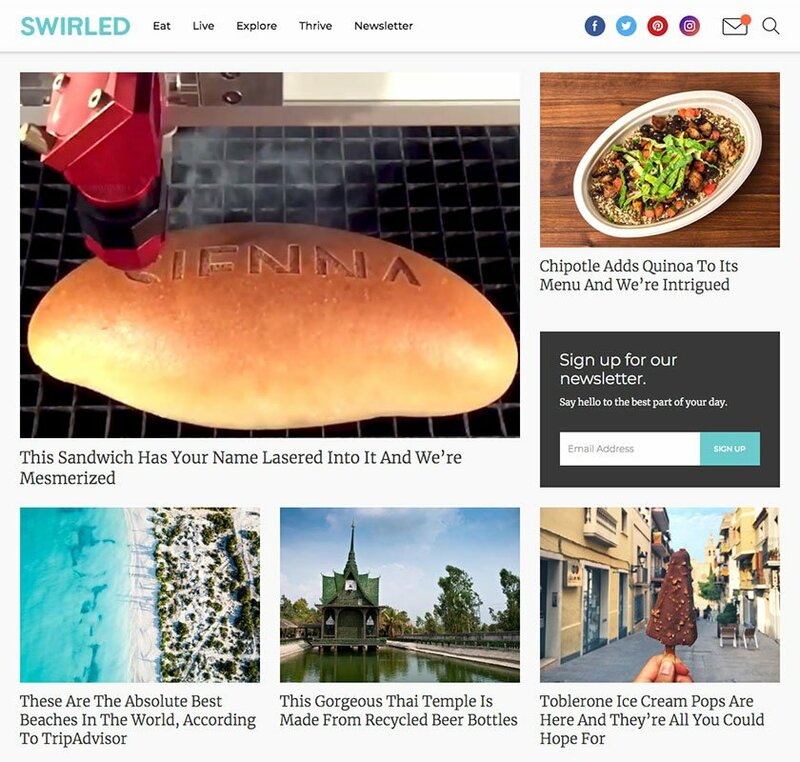 Every day we put you at the top of your “to-do” list by swirling together original stories with the best lifestyle content on the web. Hang with us, and you’ll find awesome budgeting hacks, food-spiration, travel deals and fitness must-knows in one place. Our fresh perspective will inspire you to eat your heart out, live healthier, explore the world and thrive. Own your life and love it.